PW-1,3,6 and CW-5. You know what those mean right? Welcome to acronym-landia. Those letters and numbers describe burial grounds on Hanford’s Central Plateau that contain plutonium and cesium waste. There is a comment period going on about the Department of Energy’s (DOE) proposals for cleaning up 22 waste sites where liquid waste from plutonium production was dumped. Hanford Challenge put together a guide to help you find information so you can write a comment of you own. Weighing in about how the plutonium should be cleaned up is pretty important since it takes 240,000 years to complete its decay. We are making decisions now that will affect the Earth so far in the future it’s almost unimaginable. Plutonium is a controversial topic at Hanford, especially when you get into its mobility. There is a dig it up side and a leave it there side. The position of the DOE is that it doesn’t move unless it is in colloidal form – meaning highly mobile negatively charged plutonium in extremely small particles – too small to filter. DOE says that there is no knowledge from existing site data that any of this waste is in colloidal form, therefore the leave it there position. The dig it up side says it’s not so simple. Plutonium has one of the most complex inorganic chemistries of all the elements. 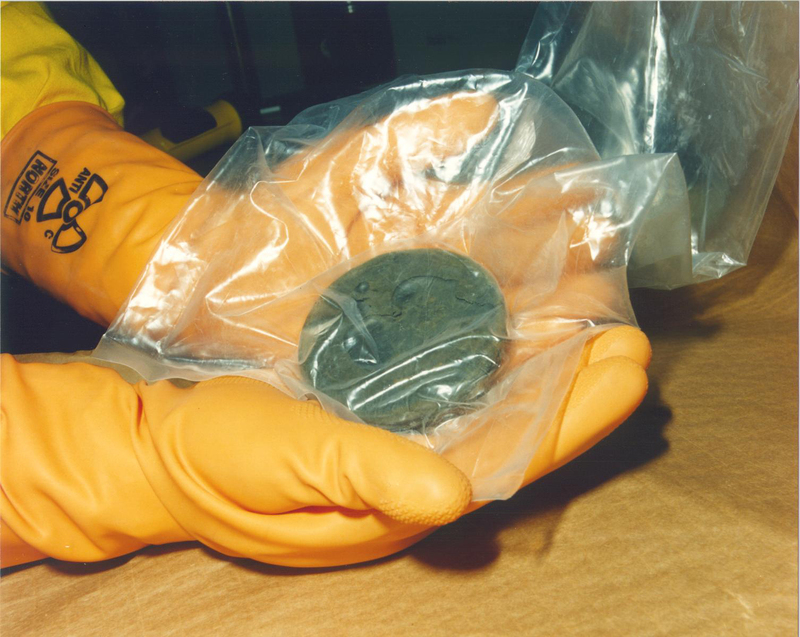 When plutonium moves with water through the soil, it is absorbed and then re-released by the soil. This slows the movement of the plutonium and its complexes. Plutonium also travels with certain solvents. There is also a problem that the predictions of what is happening with waste in the ground using models, and the reality of what is happening based on testing don’t line up. Based on the leave it there model, there shouldn’t be plutonium in the soil more than a few feet below the surface, and yet it has been detected 100 feet down and in the groundwater. Also, all of this information is weighed against the cost of digging it all up, digging a little bit up, or leaving it all there. What do you think should happen?